Professor Knox received his BS in engineering physics (1953) at Lehigh University and his PhD in physics and optics (1958) at the University of Rochester. After two postdoctoral years at the University of Illinois at Urbana-Champaign, he joined the University as an Assistant Professor of Physics in 1960. He was promoted to Associate Professor in 1963 and to Professor in 1968. He remained in that position until becoming Professor Emeritus in 1997. He has spent sabbatical leaves at Leiden University, Kyoto University, and Imperial College in London, UK. He was chair of the Department (1969–1973) and Associate Dean for Special Programs in the College (1982–1987). 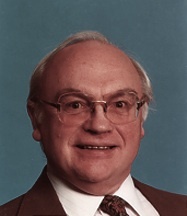 Professor Knox is the author of the book Theory of Excitons and in 1994 was a co-recipient of the Biological Physics Prize of the American Physical Society in connection with his research on photosynthesis. Professor Knox's research, originally concentrating on the excited states of insulating crystals and molecular solids, moved into the areas of Theoretical Biological Physics and elementary climate modeling. His work has focused on the optical properties of biological molecules and energy transfer among them, and most recently on studies of the primary processes of photosynthesis. Professor Knox directed an experimental program in picosecond fluorescence at the UR Laboratory for Laser Energetics from 1980 to 1988. While currently retired and holding no research grants, he maintains Departmental contact, continues research on climate, and is happy to discuss past and present work by Email or by appointment.